Promotional printings designed to fit your budget! 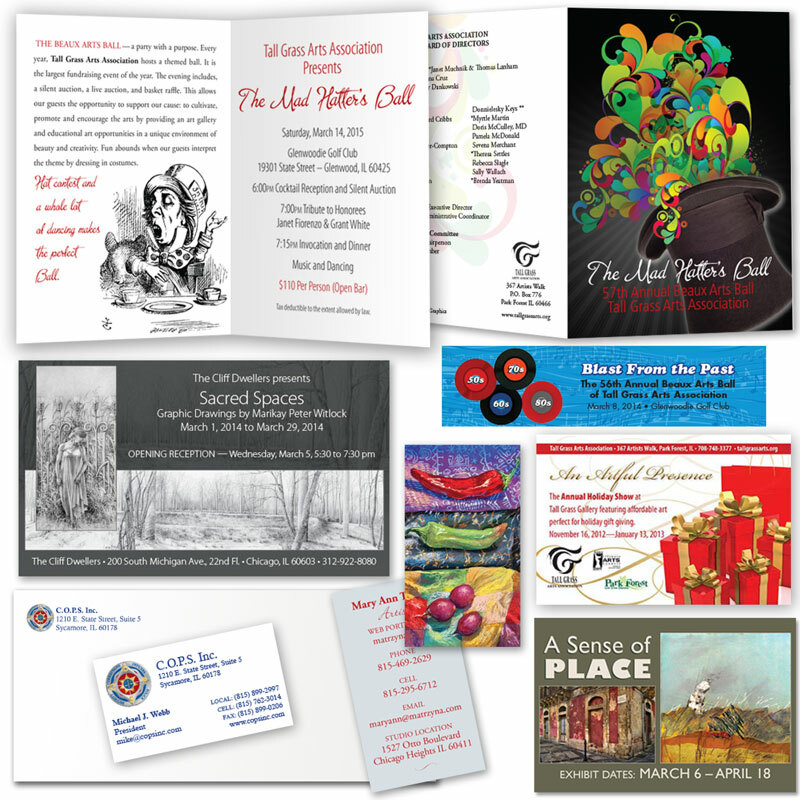 Brochures—one color or full color—small or large quantities. Postcards, rack cards & folded cards. Flyers, booklets, calendars, catalogs—anything you need to promote your business or organization. Customized forms with your business logo. Business identity materials—business cards, letterhead, envelopes. Imprints—digital designs created for imprinting on everything from coffee cups and pens to sweatshirt stitching. Banners, table throws, and signage. All designs can either be sent to your printer or we can provide the full service using our vendor. Graphics designed and optimized for your website. Visit matrzyna.com to view studio portfolio of original paintings.